My parents celebrated their 50th wedding anniversary this year. It’s strange to look at pictures from 50 years ago when they were young, in love, and a whole future awaited them. My dad tells me all the time what a great life they’ve lived. And they have. They’ve travelled. They’ve made great friends. They’ve experienced the joys of raising children and having grandkids. They’ve experienced a wonderful life together. Sure there have been arguments and disagreements along the way. There have been disappointments and loss. There always is in any lengthy relationship. There have been tough roads to navigate including the one they’re on right now. It’s a road with potholes and sharp turns. There are some smooth, flat stretches with sunny skies, but they are further and further in between these days. My dad’s physical and mental abilities are slipping. Once an all-American basketball player at Tulane with an athletic 6’2 frame, time has taken that away. It has thrown him some sucker punches the last few years – falls that have led to a broken hip and a broken arm and collarbone and possible concussions to the head. He’s had heart issues (two aorta valve replacements). He’s gone through prostate cancer surgery. He had a small stroke years ago as well. He’s starting to forget things like days and dates and mixing up words and names. His speech is slowing and his fine motor skills are deteriorating. And it’s hard to watch. My mom is the middle stages of battling the most cruel of diseases – dementia. I try not to think too much about it because when I do it makes me agonizingly frustrated. She’s still there. Those “memories in the dark” that Ronnie Milsap sings about are still alive, but they’re slipping. She still knows her family and friends and stories from the past, but she can’t retain anything new. A three hour football game on television means nothing 30 minutes after it’s over. She’s on medication to help slow the progress but I can’t imagine what her mind is doing to her on a daily basis. She sleeps a lot more. She’s less engaged in conversations. She’s quieter. I think she knows somewhere inside that something’s wrong. They’re doing the best they can. They laugh and joke with each other. It’s sad and it’s heartwarming at the same time. I spend my days wondering how they’re doing and managing their doctor appointments and medications and finances. There are days and times it feels overwhelming. There are times that I’m frustrated and angry. Times when I think why both of them? If one of them was better then it would be much different and probably easier. But it’s not like that, even if it doesn’t stop me from wondering. Then there are those days where it is a honor and privilege. It’s hard to explain. You don’t know you have the time to do something until it’s thrust upon you and you have to. Is it stressful? Sure. Is it time-consuming? Of course. Is it putting someone else’s needs before your own. Absolutely. They’ve done all of that for my sister and I throughout our lives already. Thankfully I have an incredibly understanding and supportive wife and a very willing daughter. Thankfully I have a helpful sister and brother-in-law who do what they can. Thankfully God gave me a somewhat calm and even demeanor even though it’s tested quite often these days. He’s teaching me something. Somehow, I’m growing through this process. I really have no other choice. Ronnie Milsap has always been a favorite of my parents. 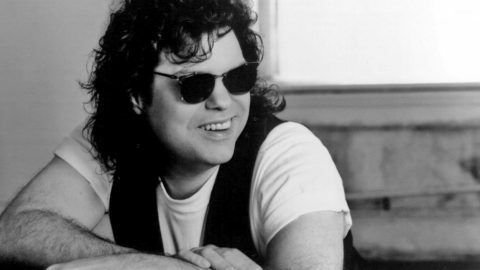 He won the Grammy for Best Country Vocal Performance in 1985 and I still remember all of the old Ronnie Milsap 33’s that would spin on my parents’ record player. In 1985 when this Milsap single was released I was a skinny freshman in high school battling everyday insecurities and trying to figure out my place in life. My dad was 45, my mom was 39 that year, and music was a big part of their lives. They would fix dinner and drinks, and sit and listen to songs like this while they discussed their careers and children and planned for the future. Music still is a part of their lives today. It’s just a different time for them as they now try to recall the old days. It’s a tougher time. The journey is a struggle now. But they still find joy. They still laugh at their silly jokes. The sit in their sunroom and spin some cd’s instead of 33’s while watching the birds and squirrels and deer as the sun slowly sets beyond the tree line. This Milsap song was one of his 40 #1 country hits. One of 40! That’s amazing and something I didn’t realize. What a testament to Ronnie’s longevity and perseverance and talent. The song itself is a beautiful medley from a legendary voice that combined “Lost in the Fifties Tonight” written by Troy Seals and Mike Reid and the 1956 hit by The Five Satin’s “In the Still of the Night.” It reminds me of my parents’ perseverance and of their love for music. This entry was posted in Uncategorized and tagged In The Still of the Night, Lost in the Fifties Tonight, parents, Ronnie Milsap. Bookmark the permalink.